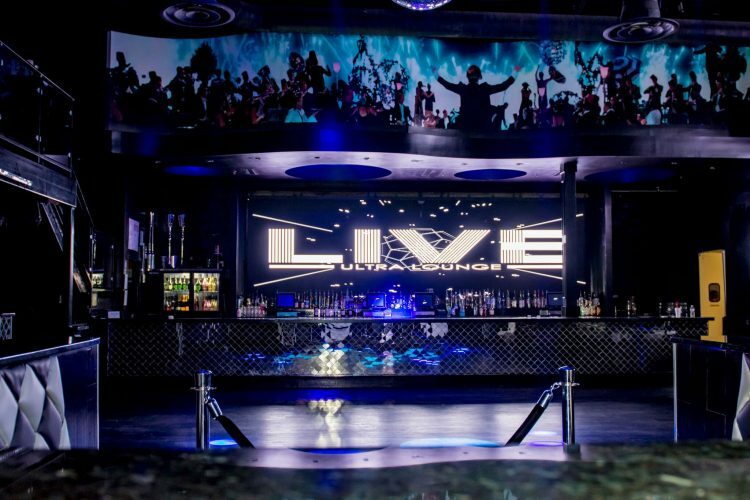 A chandelier made up of circular truss, lighting fixtures and a giant disco ball hangs above the center of the dance floor and creates a light show that can only be experienced in a Vegas night club. 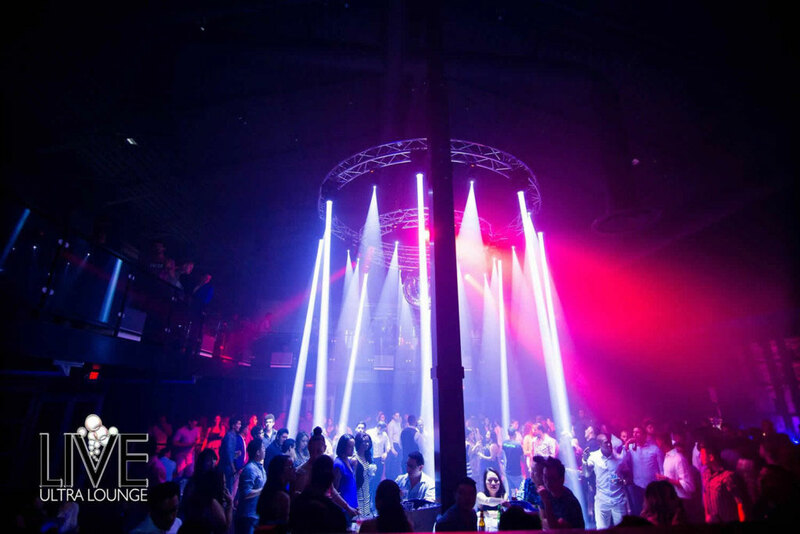 Cruzzi added several MEGA-Lite products including four Axis Beam 2R’s that project tight, vibrant and colorful beams all across the club. In addition to that, four Axis 7D5 fixtures were also added to help project a variety of different colors, gobos and prisms, adding different visuals to the light show. For additional effects Cruzzi also included four Axis Beam 7R that produce a powerful beam with flexibility that can be projected to any corner of the club. To complete the look four XS Strobe RGB’s were also hung along the rest of the other fixtures. This particular unit can operate as a wash or strobe and create chases and eye-catching effects, tying the whole lighting design together. The grand re-opening was held on New Years Eve and drew a packed house once again. Since then, the weekends have been successful as expected and LIVE Ultra Lounge along with the MEGA VIEW, MEGA-Lite and RGBlink products continue to give San Antonio the ultimate VIP experience without the need to travel far. “I’ve always enjoyed designing and couldn’t have done it without the help of the MEGA crew,” said Cruzzi. “With their advice as to what I could and couldn’t do with their different products, I was able to make my design become a reality.